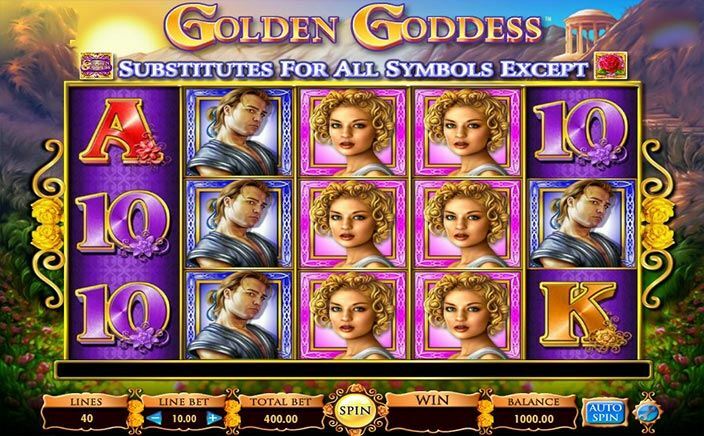 Golden Goddess is a Greek-themed slot game. The ancient Greeks were one of the most advanced civilizations on Earth back in those days. And also, they knew how to have some great fun. If this slot had really taken inspiration from the Greeks, then this is gonna be one hell of a slot game. International Game Technology or IGT, as it is more popularly known these days was originally an American gaming company based in Las Vegas. For decades, they have created many slot machines and other gambling technologies to popular casinos of the world. Now, they are owned by the Italian Conglomerate GTech. Only a few slot games can be better than Golden Goddess in terms of how pleasant it is to play them. The beautiful theme and the soothing music combine wonderfully together to make the experience of playing this slot game an extraordinary one. Golden Goddess is not really a slot for everyone. That’s because of the slow-paced nature of the game. There are no thrilling big wins or wild bonus features to keep your heart racing all the time but instead, it is a simple game that lets you have some relaxed fun. The game has 5 reels and 40 paylines. You can bet as much as 120£ and also as low as 40p per spin. As mentioned above, the slot is a very relaxed one and thus the volatility is very low. But this kinda makes the base game a bit monotonous. Golden Goddess features stacked symbols. A symbol is chosen before every spin to come stacked. Theoretically, stacked symbols mean better chances of landing more rewarding combinations. And this proves to be true as most of the big wins come through this feature. 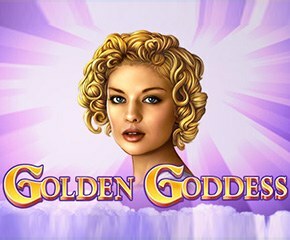 Golden Goddess also has a free spins feature and a wild symbol. The logo of the game also doubles up as the wild symbol and randomly pops up during both the base game and the free spins rounds to increase your chances of winning. The free spins feature, on the other hand, is triggered when 3 rose symbols appear on the reels 2,3 and 4. You get 7 free spins and more stacked symbols each time this happens. It would be an absolute no-brainer if you were to ignore Golden Goddess just because it doesn’t have any big jackpots. Because the gameplay is such that you get big wins even without the help of any jackpots. So, just get online and give this one a try.